Traveling west from Hardknott Pass (and the Roman Fort I recently blogged about) down to the coast of the Irish Sea is the modern village of Ravenglass – the Roman Port of Glannaventa. Almost two millenia ago, this was a key port in Roman Britain. Glannaventa connected the border fortresses with the maritime supply lines essential for supporting the garrisons with food, supplies, and reinforcements. These forts protected the northern border of the empire before Hadrian’s Wall was constructed. The port was also necessary for the export of silver and lead mined in the Lake District to mainland Europe and the greater Roman Empire. As is often the case with important centres of trade, the port thrived and grew alongside the military encampments, eventually leisure facilities were constructed. Column and archway of the Ravenglass Bath House. This area connects from an area where the Hypocaust was discovered (the underfloor plumbing system that provided heating). © cambridgemilitaryhistory.com, 2015. On the outskirts of the Roman town stood a sprawling bath house or Thermae in Latin, which is remarkably still standing and carefully preserved. Brick walls 13 feet (4 meters) high remain, with curved arches over doorways. Under the earth are additional foundations, visible now only under the raised ground, but clearly showing the impressive size of the bath house. The Thermae stood next to a large fort, which is now buried in the Cumbrian landscape – some of the village, roads, and a railway all cross the archeological site. However, the initial excavations from 1881 have been expanded in recent years and it now appears the extent of the Roman encampment is greater than once believed. Just south of the bath house, along a public foot path which crosses the rail line, work is being conducted on the foundations of barracks which once housed the garrison of Glannaventa. 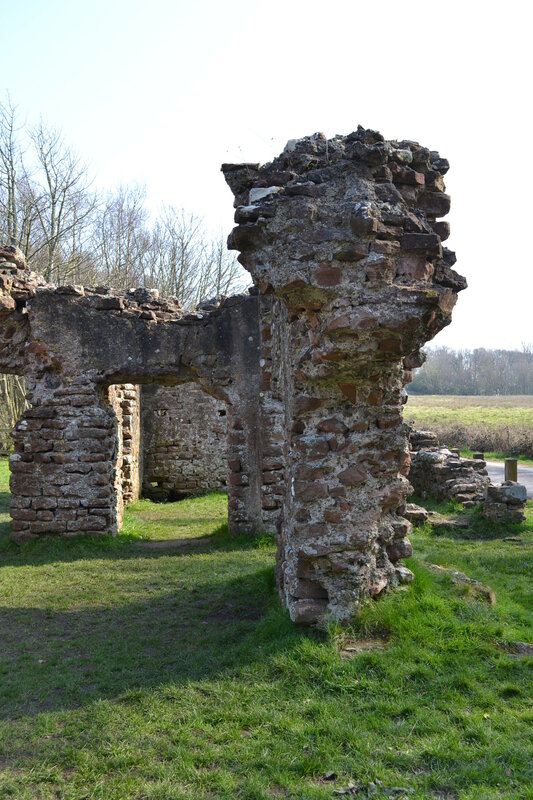 Part of the Ravenglass Bath House. The two doorways pictured lead from the area archeologists have identified as the changing area to the bathing rooms. © cambridgemilitaryhistory.com, 2015. Of note, a mile’s walk from the Bath House is Muncaster Castle, home of the Pennington Family and the Barons Muncaster. The beautiful castle, occupied by the Pennington family for over 800 years, is built on an elevated wall which is now believed to have been a Roman fortification – the ruins of which were used as the foundations of the castle. Muncaster Castle, a mile east of the Ravenglass Roman Bath House. The foundations of Muncaster were built upon Roman Ruins 800 years ago. © cambridgemilitaryhistory.com, 2015. 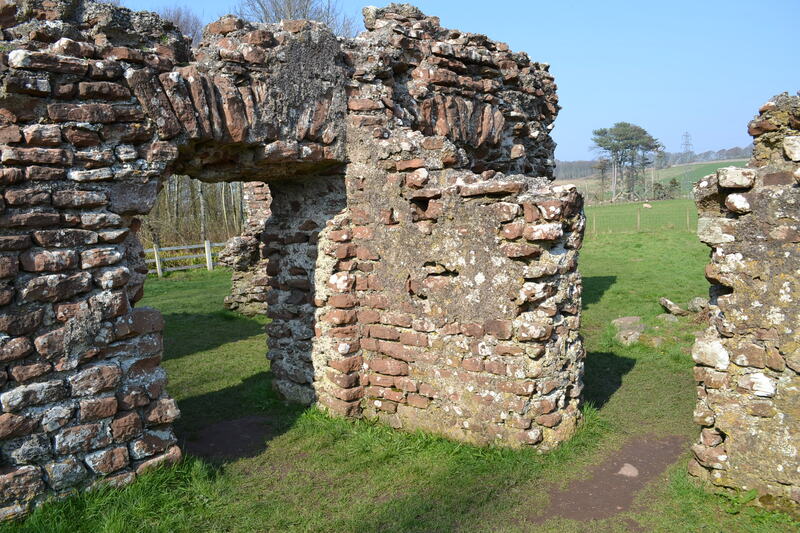 The Ravenglass Roman Bath House is maintained by English Heritage, there is free access and free parking. 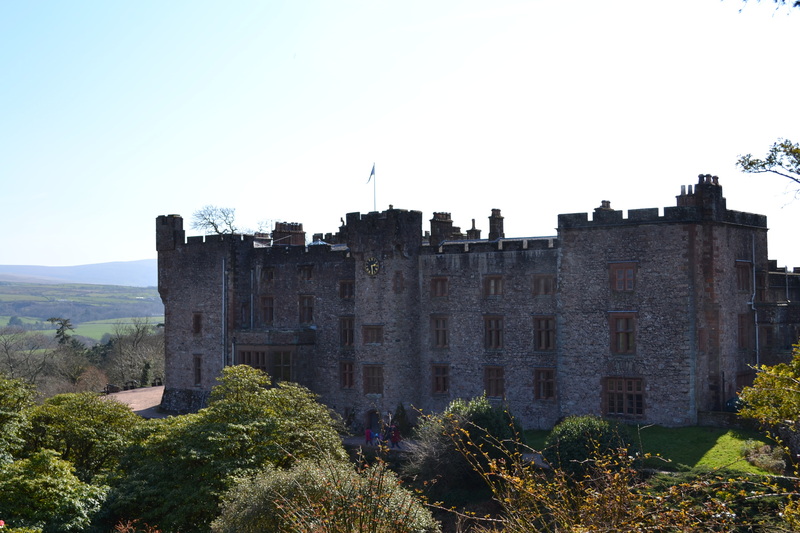 Muncaster Castle is a beautiful and historic Grade I property which is certainly worth a full day’s visit to enjoy the house and gardens: http://www.muncaster.co.uk. After much traveling, I plan on returning to Cambridgeshire soon… Brandon. High in the mountain passes of the Lake District in northwest England, some distance from Cambridgeshire, lies a long ruined Roman fortress that once guarded the northern borders of the Roman Empire. It is hard to imagine a time when the beauty and tranquility of Cumbria, now so often visited by hikers and outdoor enthusiasts, was a battlefield. In the early Second Century, during the reign of Emperor Hadrian, the Mediobogdum Fort was constructed along a chain of fortifications to prevent an invastion of Roman Britain (we are reasonably sure that Mediobogdum is now identified as the Hardknott Roman Fort). It was built along the mountain pass that left the port of Glannoventa (modern day Ravenglass) in the Eskdale Valley and crossed the hardknott mountain towards Windermere. Nowdays, the single-track road is notorious as the steepest and most treacherous mountain track in all of Great Britain, loved by motoring enthusiasts. One can imagine at the difficulty of garrisioning, supplying and constructing a military encampment high in the mountains of the Lake District – what is even difficult to access by auto today. Hardknott Roman Fort, the Lake District, Cumbria. Hardknott peak is visible in the distance, and the Praetorium foundations are visible in the forground. © cambridgemilitaryhistory.com, 2015. This fort, built and occupied before Hadrian’s Wall was constructed several miles to the North, was at its time the last outpost of Empire – almost a thousand miles from the Imperial City of Rome. The remotness of this posting would have been breathtaking for the 500 men and officers garrisioned here – who we know from extant Roman records were the Fourth Cohort of Dalmatians. These men were raised on the balmy eastern shores of the Adriatic Sea (present day Slovenia, Croatia, Montenegro, and Albania). They would have traveled overland across Europe and then sailed to western England to reach this hostile borderland, where conflict with Picts and other tribes from present day Scotland was a constant threat. 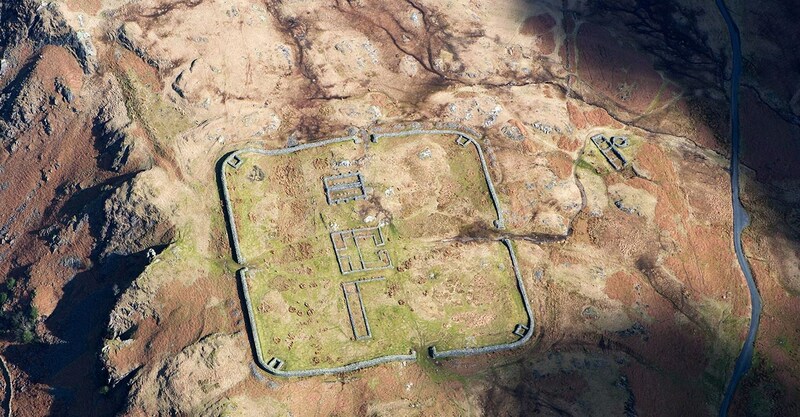 An overhead view of the fort, thanks to English Heritage for the photograph. © English Heritage, 2015. Laid out with military precision, it is still easy to walk the perfect square of Hardknott Fort, 110 meters per wall, with four gates and corner towers. The road of the day would have entered the fort via one gate and led travelers, merchants, and local peasents out through the opposite, ensuring the soldiers could maintain control of the key mountainous terrain, the movement of people and goods, and the levying of customs taxes. One nowdays can walk through the foundations of the Commanding Officer’s Praetorium, or villa. You can easily picture the wooden supports that would have comprised the barracks for the soldiers, junior officers, and auxilliaries, and think on the remoteness of this post. The foundations of the headquarters building, the graneries, and the forementioned Praetorium occupy the central ground of the fort. Just outside the northern gate is a parade field, a testament to the Roman Empire’s reknowed discipline of its troops. A bit farther afield the ruins of a bath house remain, a reminder that not all of life in Mediobogdum would have been austere and grim. Looking down on Hardknott Fort from the area near the granaries. The foundations of the Cohort’s Headquarters are clearly visible with the Eskdale Valley stretching to the distance. © cambridgemilitaryhistory.com, 2015. 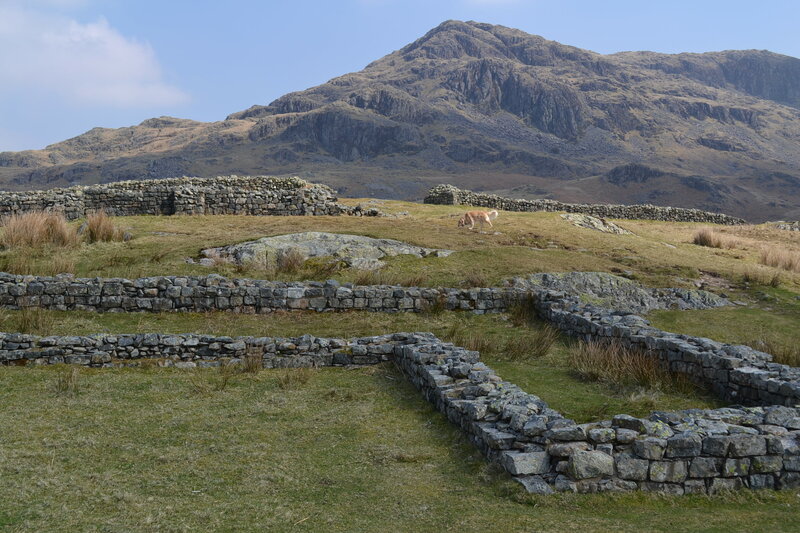 Today, Hardknott Fort is jointly preserved by both English Heritage and the National Trust. Not easily accessible, you must navigate the Hardknott Pass and then hike to the Fort, which is perched on the middle slopes of the Hardknott peak. 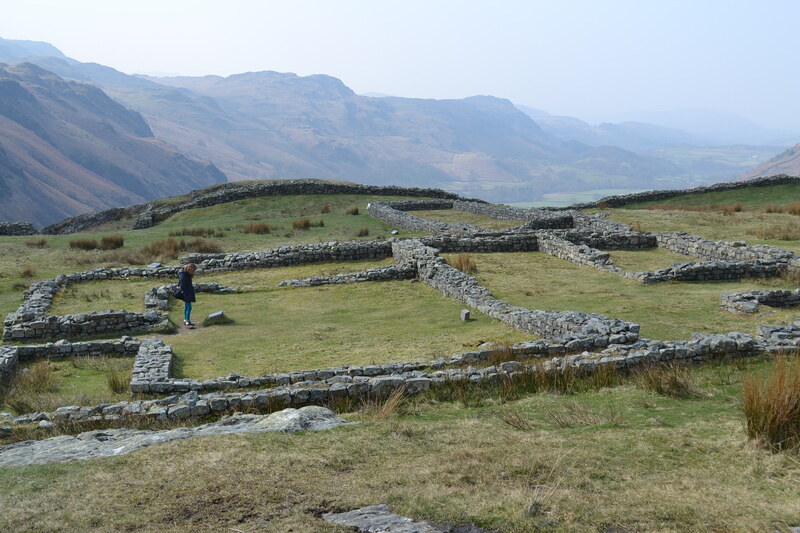 Visit: http://www.english-heritage.org.uk/visit/places/hardknott-roman-fort/ for more information on the fort. Hardknott Pass, the Lake District, Cumbria. 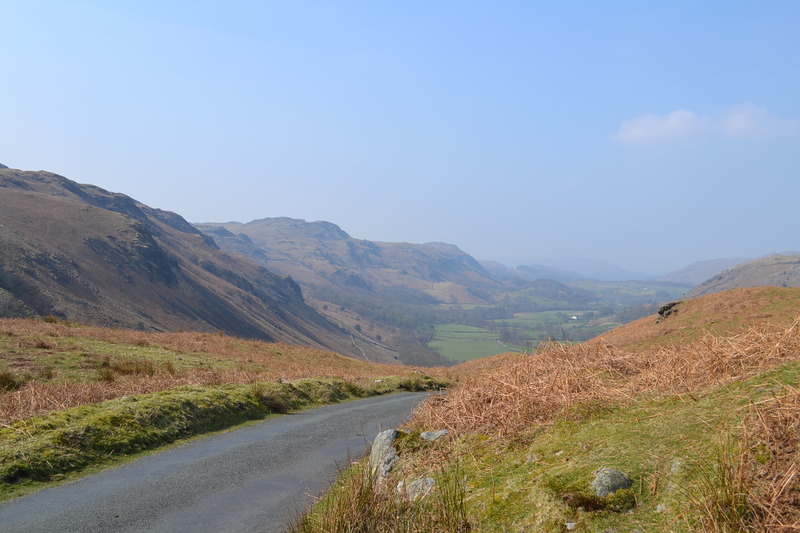 The single-track B-road which crosses from the Eskdale Valley to Windermere is the access point to the Roman ruins. 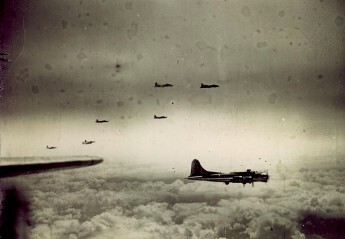 © cambridgemilitaryhistory.com, 2015.